Pitch perfect casting, a whole lot of fun and a sincerity beneath the lux veneer makes this film a winner in our hearts. Some years ago, Crazy Rich Asians would have sounded like the product of a mad fever dream. Even with the announcement of the cast and knowledge that the film had begun shooting, it wasn’t until the release of the first trailer back in May that it really hit home a Hollywood film, inspired by a novel by a Singaporean (Kevin Kwan), featuring an Asian director (Now You See Me 2’s Jon M. Chu) and all Asian cast (including plenty of familiar local faces), was about to be released in three months. But that dream has now become a reality, with the film’s release delivering the roller coaster of fun and emotions that Crazy Rich Asians is to audiences all around the world. 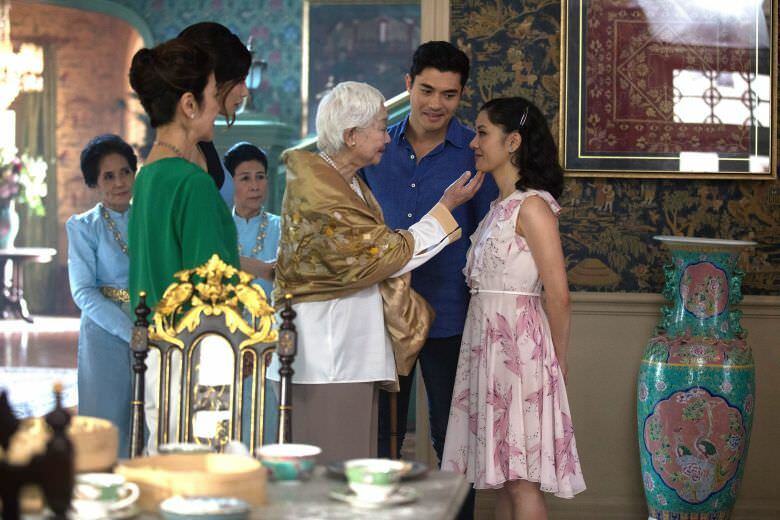 From its opening scenes, Crazy Rich Asians already makes its stand and strength clear, staying loyal to the novel’s opening pages and placing audiences in 1985 London, where the Young family are subject to discriminatory treatment on account of their race. It’s a move that shows just how far we’ve come since then, and how it is first and foremost, changing the perception of others that prove the biggest obstacle of all. Crazy Rich Asians is a film that unites the twin genres of romantic comedy and Asian family drama into a single cohesive production. 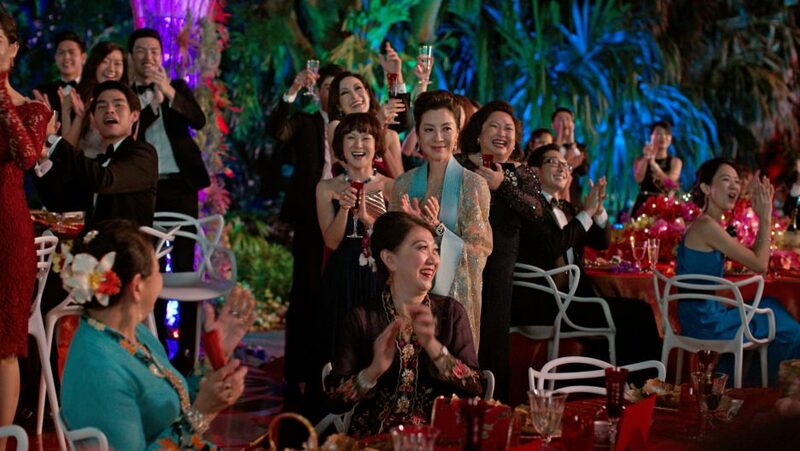 Topped off with glitz, glam and plenty of money shots, Crazy Rich Asians is elevated to a classy film that makes one believe Asians can be front, centre and beautiful on the silver screen, and a storyline that goes beyond class and even race to touch anyone who’s ever found themselves at the disapproving end of their partner’s family. 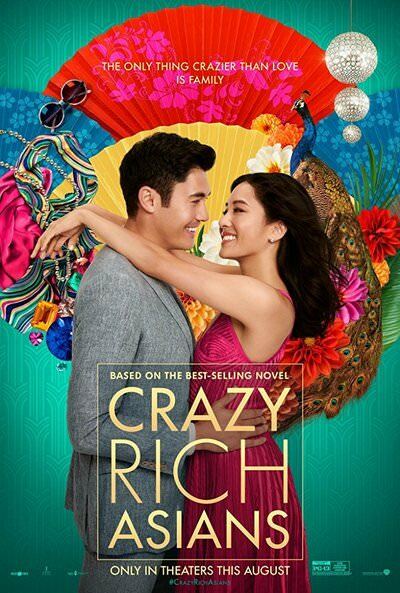 Crazy Rich Asians is led by protagonist Rachel Chu (Fresh Off The Boat’s Constance Wu), an economics professor who follows her boyfriend Nick Young (Henry Golding) back home to Singapore to attend his best friend’s wedding. There, she discovers that Nick is in fact the golden child and heir of an impossibly wealthy Singaporean family (think massive, sprawling mansions and lavish dinner parties prepared by an army of servants). In the lead-up to the wedding, Rachel also has to contend with Nick’s dragon-mother Eleanor Young (the indomitable Michelle Yeoh), as she has been deemed an unsuitable match for Nick, alongside an entire country’s worth of exes and potential suitors deathly jealous of her prized position. 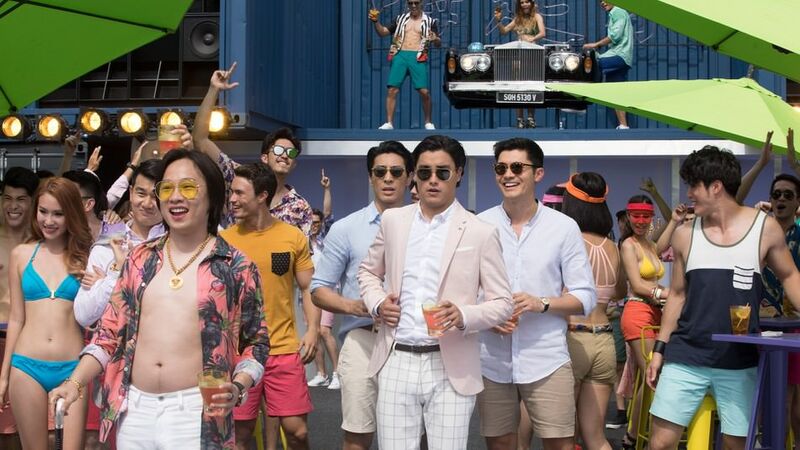 Beyond its ascent into an almost fantastic playground of the rich, where every set piece and costume is to be marvelled, so much of the reason why Crazy Rich Asians works is because of the pitch perfect casting that makes up a fantastic ensemble, gathering the perfect Asian actor from literally every corner of the globe to play each role. There’s a familiarity in each of these characters that makes their actions and behaviours laughable, relatable and fun enough to hold on to their every word as we allow ourselves the opportunities to just indulge in this madcap world of the uber rich. As the leading lady, Constance Wu delivers a formidable, multifaceted performance showcasing a mix of sharp intellect, internal strength and feminine charm, poising her for even more lead roles in future. Henry Golding dishes out sultry charm and is a more than likeable male protagonist, his onscreen chemistry with Wu practically magnetic, leading us to root for this couple’s success every step of the way. Michelle Yeoh of course, as the film’s designated antagonist, is a force of nature to be reckoned with, immediately commanding every scene she appears in with her presence alone, needing only the tersest of lines to leave a room chilly. British actress Gemma Chan, in addition, has a star-making role as cousin Astrid Leong, her perfect accent lending an air of sophistication and posh glamour to the entire cast, arresting in her beauty and moving swiftly between stoic to struggle in her own brief but heartbreaking storyline. 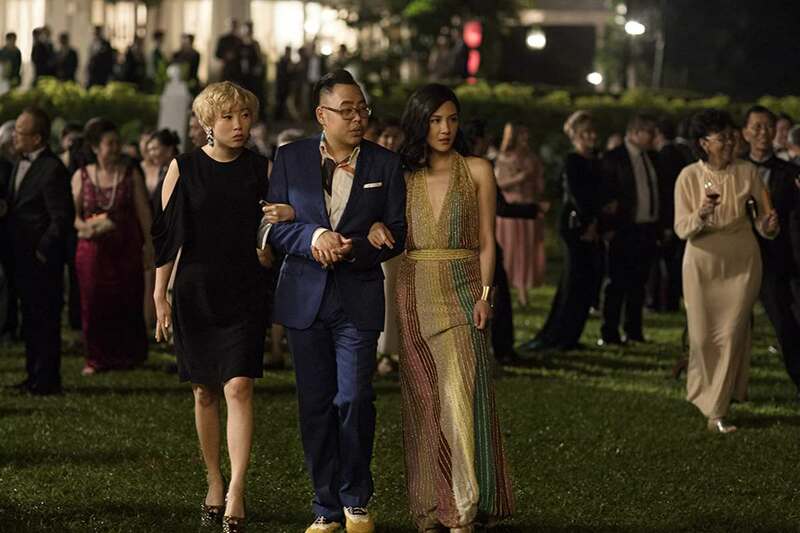 Crazy Rich Asians is also buoyed by strong performances from Rachel’s comrades in arms Awkwafina and Nico Santos, playing best friend Peik Lin and newfound confidant and stylist Oliver respectively. The comedic elements here feel smart and natural, a result of overblown yet believable personalities of the rich, while never resorting to lowbrow humour to milk cheap laughs. Jon M. Chu’s measured direction switches between gloriously loud and over the top and subtly affecting when the situation calls for it, capturing the most profound emotions in its quietest moments with a single nod. In addition, Tan Kheng Hua’s short but integral scene shared with Constance Wu, playing Rachel at her absolute lowest, showcased how important and powerful the bond between mother and daughter can be. Kheng Hua has always killed it onstage and onscreen, and this exchange was no different, drawing out her character’s troubled history in the span of a few minutes, despite this being literally the second time we see her onscreen. 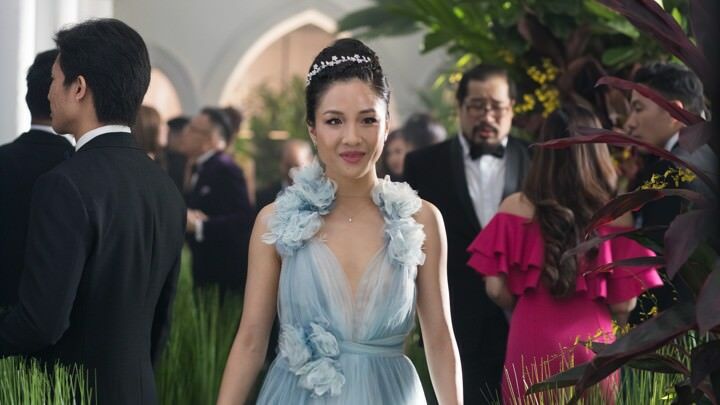 Throughout Crazy Rich Asians, we move from one surprisingly powerful storyline to the next, made so by its script and choice to flesh out each individual character. One feels particularly strongly about Eleanor being the manifestation of a universal fear – that one’s best is simply not good enough. Rachel’s story may not be an exact replica of what anyone and everyone has experienced in life, but it sure as heck would be one which most viewers would relate to on a fundamental level – that of rejection. Although not all the actors get star billing, each and every one of them contributed a key part to this ensemble film. Each line spoken, no matter how short, was a part of crafting this world and each actor held their own in the scenes they appeared in. Hearing Koh Chieng Mun’s distinctly Singaporean accent while having so much fun in her over the top role as Peik Lin’s mother, to theatre familiars Janice Koh and Selena Tan bringing their stage personalities to the screen as the chatty Young aunts. How does one even begin to imagine living in a world where we see Singaporean actors go from Mediacorp to Hollywood? Not just as bit roles for representation’s sake or throwaway comic relief, but as real, fully fleshed out characters. If you distil it down to its most elemental aspects, Crazy Rich Asians is in fact, a rather formulaic romantic comedy film. But what makes it transcend the ever growing pool of average romcoms is its history-charting value of putting Asians on the big screen, and how much respect and care it takes in making sure that Asians have a chance at last to be treated as equals to Caucasian leads, capable of love, capable of loss, capable of being a part of a box office topping film that broke any and all expectations, proving that diversity wins. Walking into the cinema today, I was not prepared for just how much I would enjoy this film, taking audiences from the loudest of parties to the most devastating comedowns. The surge of emotion comes through most strongly when after watching enough scenes of Singapore playing out, and I couldn’t help but feel a sense of pride well up for our island home. The wedding scene at CHIJMES was an absolute sight to behold, transforming the hall into an oriental dreamscape with flowing water, red lanterns and grassy fields, showing off the sheer potential it had as the wedding venue of a lifetime. This place, this country I had known all my life was now being given the full Hollywood treatment, fully taking its richness in its stride, from the shots of Ann Siang Hill to soaring skyscrapers, capturing Singapore in all its glory. What could have been a glorified tourism ad is shot with care, making parties look like scenes straight out of an Asian The Great Gatsby, scenes that while purporting themselves to be extravagantly opulent, are simply elevated versions of what a middle class Singaporean might have experienced in life. I wanted to lose myself in this world, and swelled with pride as I watched these places so thoroughly appreciated in front of the camera. One left the cinema shaking with emotion, feeling an undeniable joy gleaned from the radiant performances from the entire cast. There is a sense of empowerment that this milestone film fills audience members with, Asian or not, from the honest way it tackles familiar issues through fully-developed characters. It is a film that sets a precedent in its presentation of the Asian identity on the silver screen, laying the first steps for more unheard voices to tell their stories in Hollywood, and a triumphant cinematic event that leaves audiences all the richer for having watched it. Crazy Rich Asians is released across cinemas in Singapore on 22nd August 2018.